Arthur Miller’s 1949 play Death of a Salesman was one of the most famous American plays of its era. The play follows salesman Willy Loman, at the end of his life, looking back on a life of false ideals and hopes, while still seeking some sort of recognition and validation. Although the story celebrates its 70th anniversary this year, the concept and truth of the play’s storyline is still as relevant today than ever before. The play is currently undergoing a revival in London’s West End with Don Warrington in the role of Willy Loman. Here in South Wales, Newport Playgoers, under the creative eye of Steve Bissex-Williams are also paying homage to Arthur Miller’s famous script with an epic presentation from beginning to end. The drama kicks off in style with a black and white cinemascope film presentation. Willy Loman (Stephen Saunders) is depicted driving through the bustle of 1940s New York, before taking a full physical form and stepping on to the stage via a stream of light emitting from the stage floor. As Willy steps on to the set with his briefcase, the audience are treat to a grand view of the Loman household, comprising three floors, made up of staircase, kitchen and two bedrooms, finished off with a garden and picket fence. 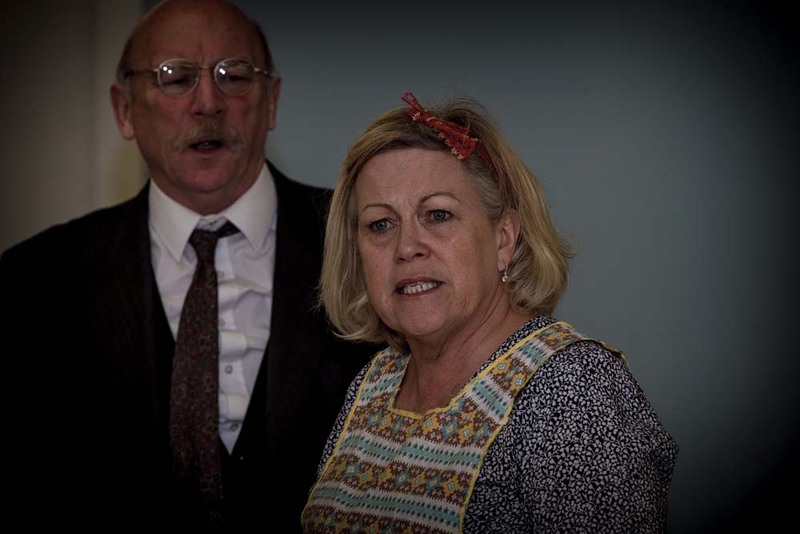 Providing the perfect backdrop for the actors to bring Arthur Miller’s unfolding text to life, the set is a credit to Dave Griffiths and his team of scenery citizens. On the acting front, Stephen Saunders gives an emotionally charged performance of Willy Loman. A man at odds with his past, present and future expectations, not just for himself but his family as well. Saunders portrayal is the pulse of the production, each reaction and realisation struggles with a conflict at work, home or away and is perfectly timed to Loman’s eventual self-destruction. 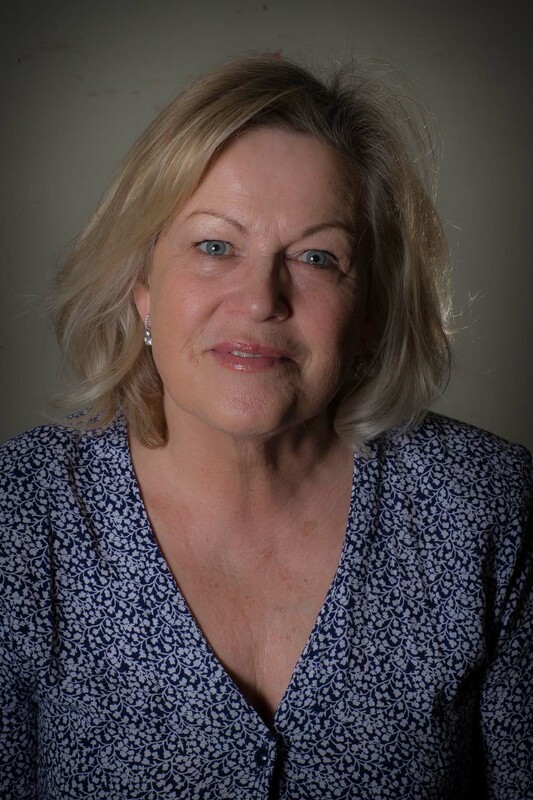 Attempting to bring calm to the leads unpredictable reactions is Eileen Symonds as Willy’s wife, Linda . Balancing the perfect housewife with a hint of matriarchal characteristics, Miss Symonds portrayal remains supportive and strong throughout, particularly when called into the conflict between her husband and sons. Making up the remainder of the Loman family are Adam Ramsden as Biff and Ryan Keyes as Happy. Portraying the characters through periods of adolescence to young men, both actors display a natural flair and brilliance. Ramsden’s portrayal of Biff requires a broad scope of emotion which peaks in believability when realising the failings of his father. A performance to be proud of. Other strong performances include Chris Bissex-Williams spectre-like portrayal of Willy’s late lamented brother Ben, whose memorable line, “When I was seventeen, I walked into the jungle, and when I was twenty-one, I walked out. And by God I was rich.” echo in the ears long after the final curtain call. Nick Brimble adds two diverse roles to the productions colourful characters. Whilst delivering two stages of Bernard Bernstein, the original school geek and successful businessman, Nick also sidesteps into the role of Stanley The Waiter whose calmness adds balance to an awkward dinner between Willy and his sons. Very enjoyable portrayals indeed. There are elements of Death of a Salesman that are certain to strike a chord with everybody who sees it. A thought-provoking piece of theatre, don’t miss an opportunity to see some classic Arthur Miller performed with character and meticulous attention to detail. Death of a Salesman continues its run at the Dolman Theatre until Saturday April 13, 2019.